I usually try to bake the teachers a treat for the first day of school to help them ease back into their routines of minding rooms full of excited kids. 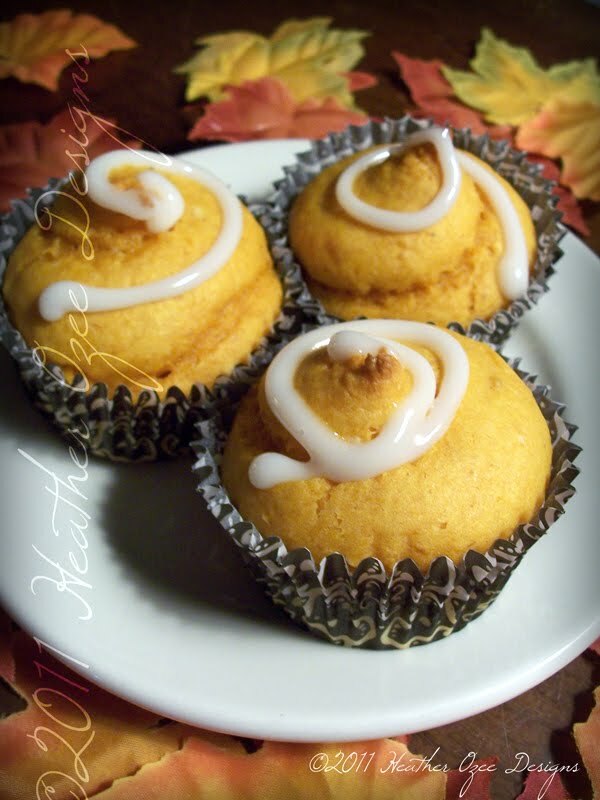 This year I was down to the wire and decided to go with my favorite go to in a hurry recipe. I heard it on a podcast, Halfway There. Jessica, the host had no idea what a valuable little recipe she was sharing. My girls and .. well everyone loves it. SO are you ready for the huge list of ingredients? That's it! No eggs.. No oil... nothing! Then for tidiness as well as easy to peel away wrappers I put the mix into a piping bag and swirl the mixture into the liners till they are about 2/3 full. Bake according to your boxes directions for cupcakes. I normally don't add any icing, but for the teachers I drizzled a little glaze on top that I picked up at the Grocery on clearance. That's it. The amazing thing is how moist they are. Yum! As my girls and I start to feel the thrill of an approaching trip to Disney World I reflect on how many people don't "Get It". The Pell that brings us back to the Kingdom every year. The glee that you see on our faces and the little flicker of sparkle they see in our eyes after returning home. Of course I know we are all different, and different things make each of us happy. But how to explain what it is that makes me and my family so very happy there? Well it's not really possible to put into words or capture the magic in an explanation. But let me put it like this, every inch of the place is themed and beautified to an unreal degree, the cast members(all of the!) are polite and go out of their way to be helpful and kind, the rides and atmosphere is kept family friendly while still delighting you with heart pumping adventures. When a child drops a Popsicle and someone runs to your aide with a free voucher to replace it... you know the place is different. 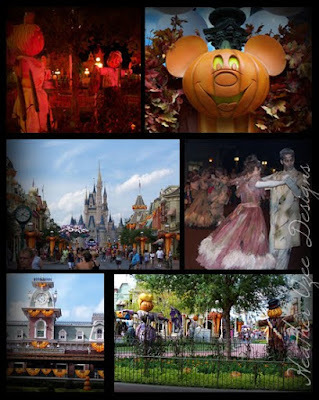 Here's a peek at some of the fabulous decorating they do for Halloween at the kingdom! I can't believe its the 20th of July. Time has truly slipped by without my noticing. My girls start school in just a week and a half. 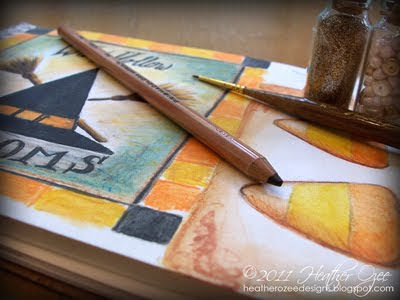 I'm busy putting the finishing touches on my the first of my 2011 Halloween sets, and just plumb spinning in circles with lots happening at home. 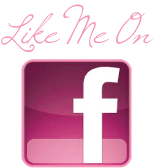 I hope you've missed me! 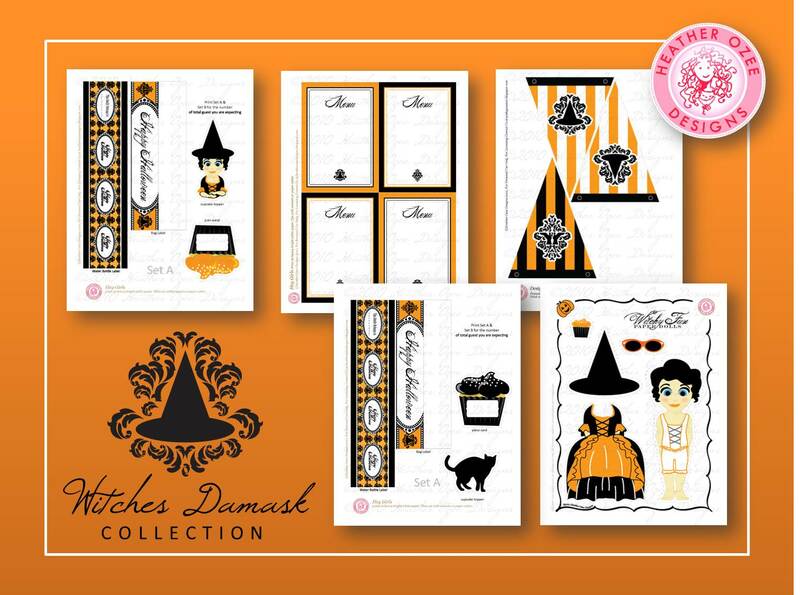 So here's a quick peak at some of what will be in the Witches Damask Printable Party Set. There a few items with this set that are still being designed. I best get back to designing, but I'll have more details plus a few fun pictures of what we've been up to. 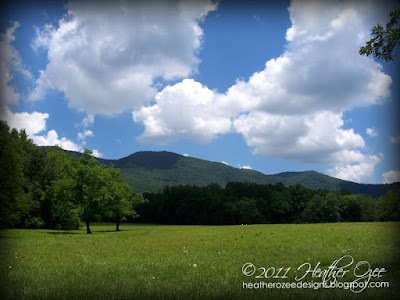 I just returned from a wonderful stay in the mountains of Tennessee. We were perched in a little cabin smack in the middle of heaven. We were surrounded by art and historic southern homesteads. With all this eye candy my brain is going into over time planning future paintings. Being in the mountains also sparked that final little flame I needed to kick off my design work for my fall collections. 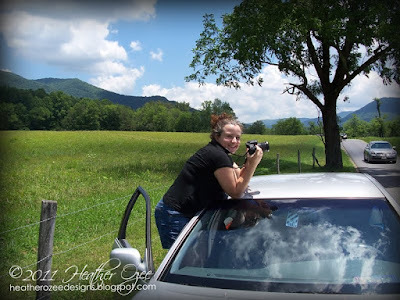 I spent most of my time hanging out the car window looking through a camera lens and the rest of it snuggled with my kids or picking up rocks out of a creek. The beauty of the area can't truly be captured with a lens, but here's an idea of what we were surrounded by. Best of all we got to reconnect with family members that we haven't seen in ages. 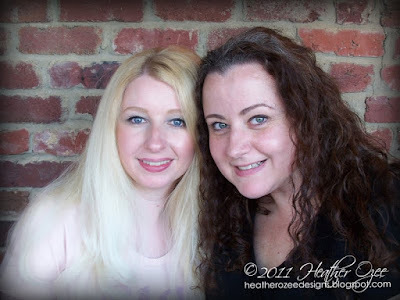 My cousin Heather of Sprinkle Bakes, was just as sweet as when we were kids. We had a wonderful visit with her and her mother, my Great Aunt Katie. And then as if the visit wasn't already perfect enough... she brought cupcakes! Homemade, absolutely delicious... cupcakes! So now the difficulty will be picking which painting in my head to get onto a canvas first. 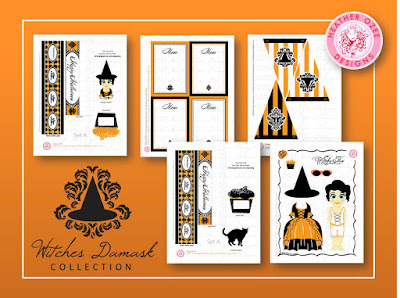 Of course there will be lots of party sets to design with fall just around the corner too. It's amazing how a short trip to a special place can set your creativity on fire. What a beautiful planet my heavenly father created for us.